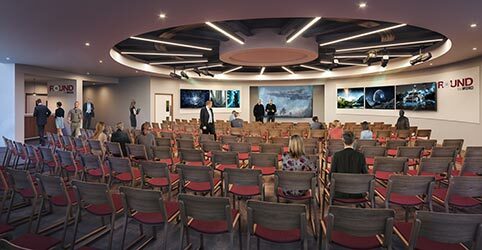 Stunning images of how the vibrant riverside development could look have been unveiled. 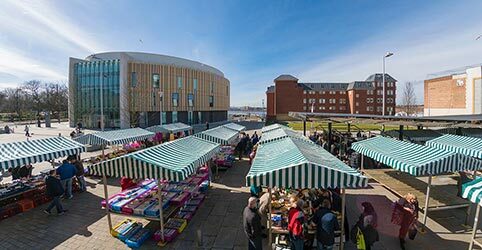 The Council and its partners have completed phase one of South Shields 365, a £100 million redevelopment of South Shields town centre, with the sustainable economic vision to breathe new life into the community. Following demolitions, work started on phase two of South Shields 365 which includes the new Transport Interchange in March 2018. Completion is expected late summer 2019. South Shields 365 photography acknowledgements. South Tyneside Council has revealed artist's impressions of a £200 million masterplan for Holborn, South Shields. 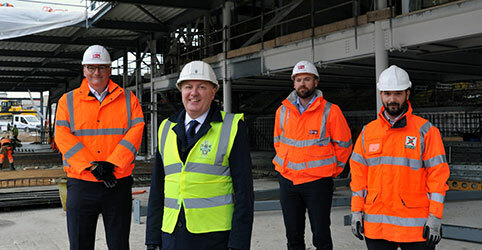 South Tyneside Council and partners have celebrated a major milestone with the 'topping out' of a multi million pound facility. The roof of South Shields' new transport interchange has now been installed. 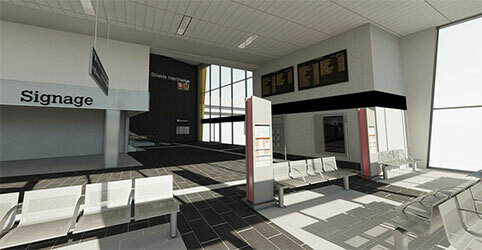 The £21 million building will bring together a modern bus station and relocated Metro station. The rooftop level of award-winning cultural venue The Word will be transformed into a new events space. The area - named The Round - will feature a full programme of events and will be able to host up to 150 people. Demolitions are due to get underway later this month as the next phase of the £100 million South Shields 365 masterplan gathers pace. 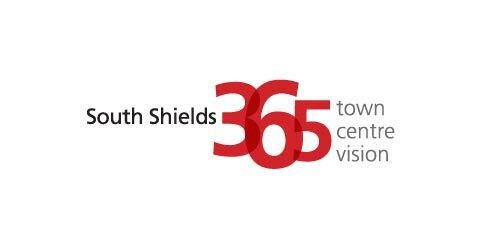 South Tyneside Council has now acquired all the land and properties needed to press ahead with the next phase of the £100m South Shields 365 regeneration masterplan. 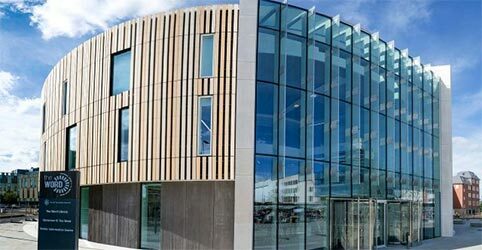 The Word will be flying the flag for the North East region at the prestigious World Architecture Festival Awards, held in Berlin in November. 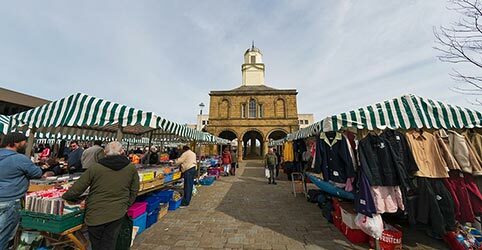 South Tyneside Council has welcomed a decision by the Secretary of State confirming the Compulsory Purchase Order (CPO) made by the authority for South Shields town centre. The Word is exceeding expectations only six months after opening. The Word, National Centre for the Written Word is in the running for the title of Library of the Year in the British Book Awards. Work on the £100m South Shields 365 regeneration masterplan to transform the town centre is continuing at a pace. Work is now ongoing to bring forward the next phases of the scheme, the transport interchange and new retail and leisure development. 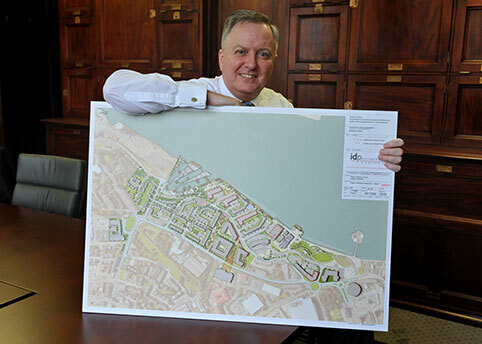 A procurement exercise has been launched to secure a development partner to work alongside the Council to deliver high quality office accommodation, residential and mixed-use development.